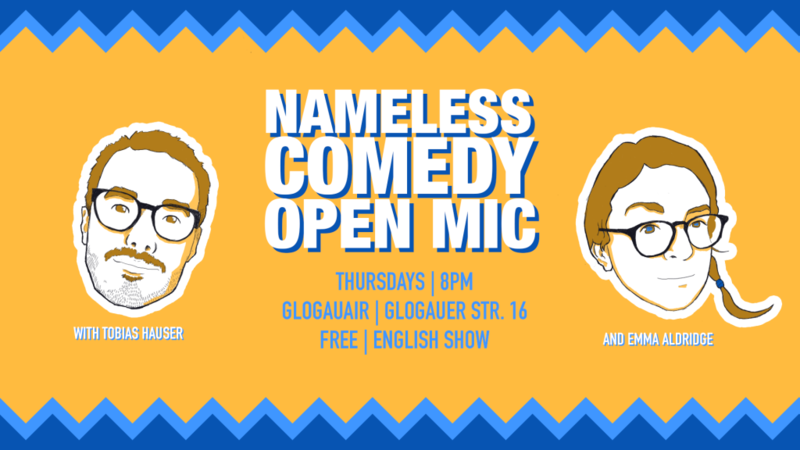 Come join us at Nameless Comedy Open Mic Thursday, 28 February 2019 from 20:00-23:00! Standup comedians will do their best to make you laugh in roughly 6 minutes. Hosted by Emma Aldridge and Tobias Hauser. COMEDIANS: Post “spot” or something similar in the comments section if you want to perform.